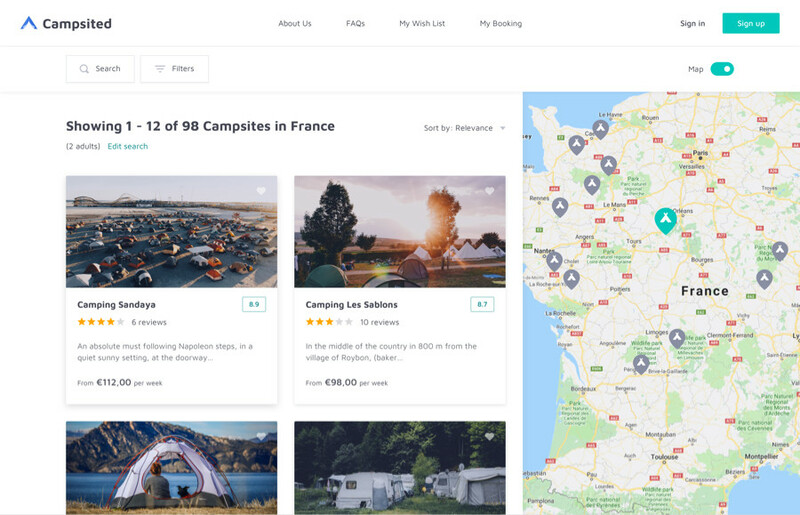 Campsited is a two-sided online marketplace that helps people book camping holidays and gives park owners integrated technology solutions for marketing and running their campsites more efficiently. A few years ago, our client had an excruciating experience trying to book a camping trip in Europe for his family. He spent days trawling dozens of websites trying to book a trip. But none of these websites were really easy to use and none had a large selection of bookable campsites around the world. So our client decided to do something about it, and the idea for Campsited was born. The company has been growing steadily. In 2015, the first version of the website was launched. In 2018, Campsited won the Pioneer Travel Tech Award from Enterprise Ireland. But the Campsited founders didn’t stop there. They decided to extend the functionality of the existing marketplace and make the platform more sustainable. And so began our cooperation. A convenient catalog with a wide range of filters to search any types of campsites. The page features a catalog with plenty of filters for an exhaustive search of campsites in a certain country. 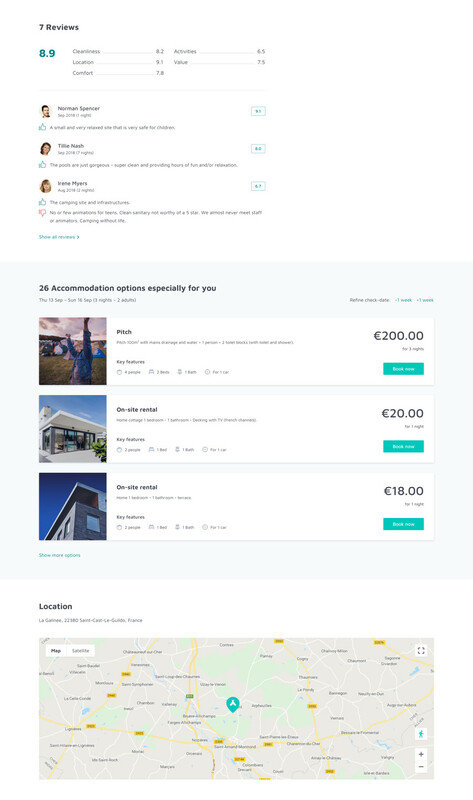 Campsite overview page features a detailed campsite description, photos, and ability to check available accommodation. People are able to view other visitors feedback about a certain campsite. The page features a convenient catalog with the opportunity to search nearby campsites. 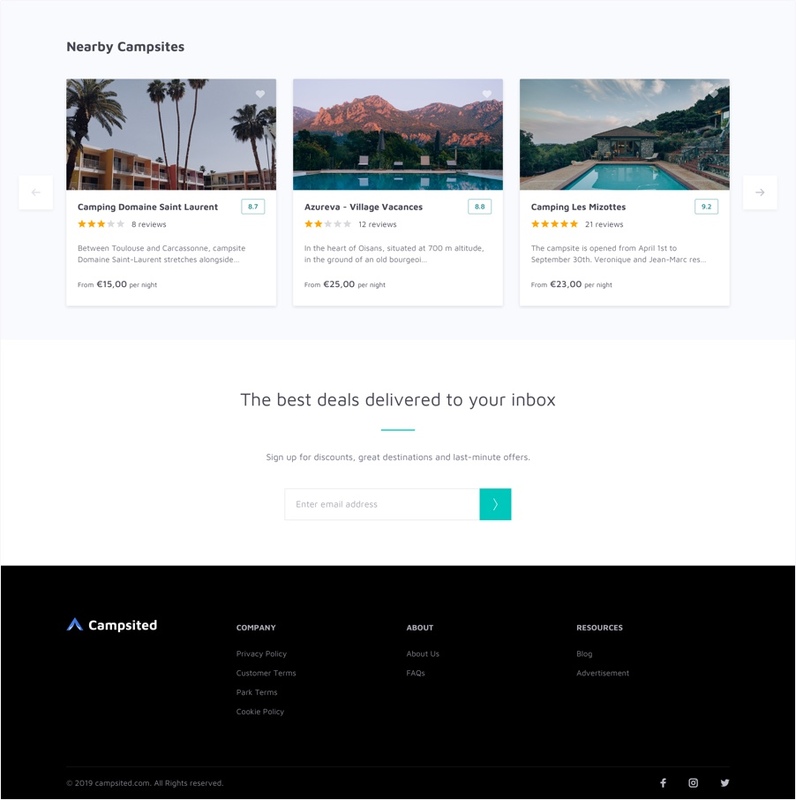 The RubyGarage team conducted a comprehensive analysis and came up with a solution that gives end users the most user-friendly marketplace and best overall experience. 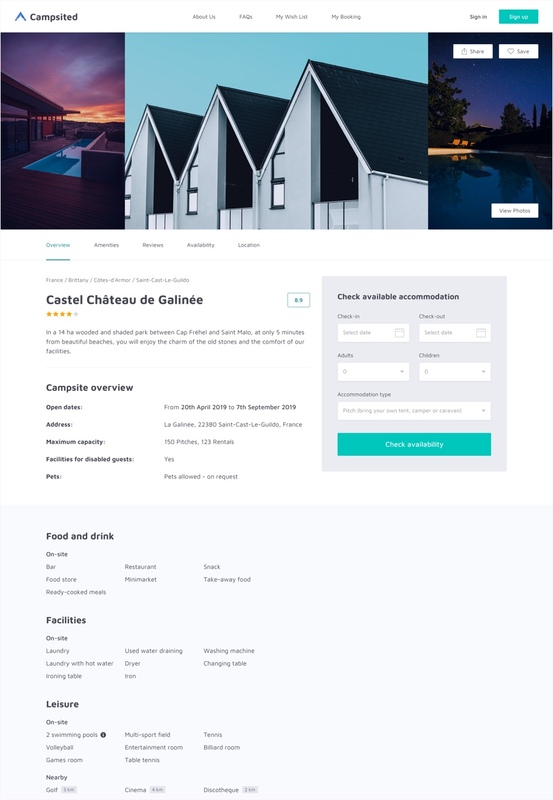 Our main task was to implement integrations; but first, we decided to make essential changes to the website architecture to solve issues with agility and scalability. Agility and scalability were crucial to the product’s success, as the platform has to work smoothly to deliver a pleasant experience and be helpful for customers. 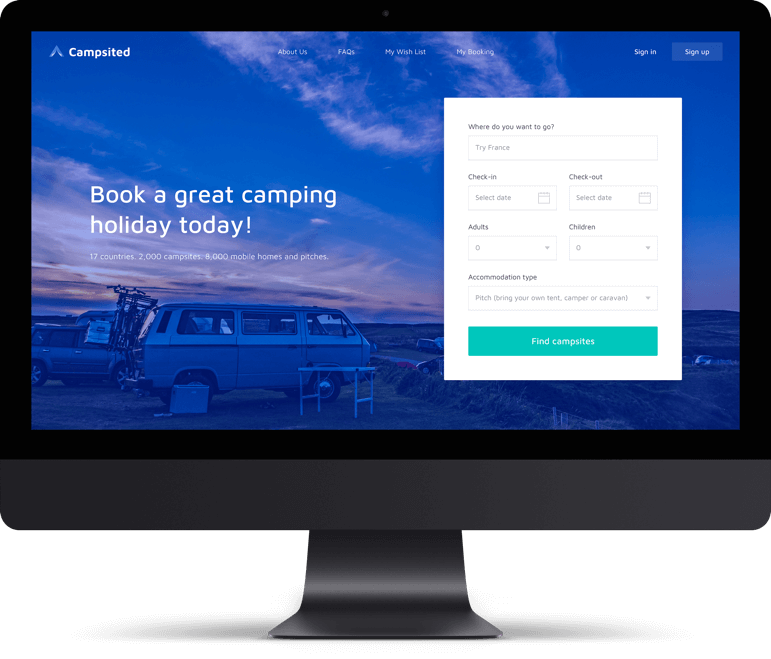 The RubyGarage team helped Campsited make a strong pitch for the digital future of camping. 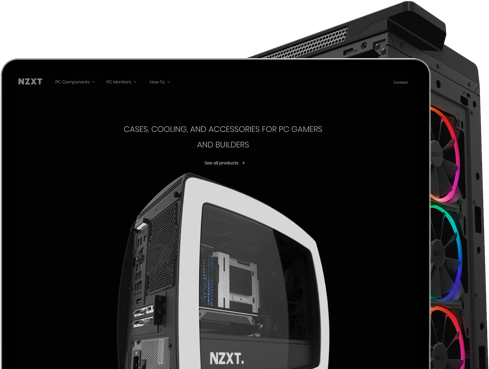 We reorganized the website architecture and implemented a number of new features to extend the whole platform without compromising performance. In doing so, we provided Campsited with new business opportunities. 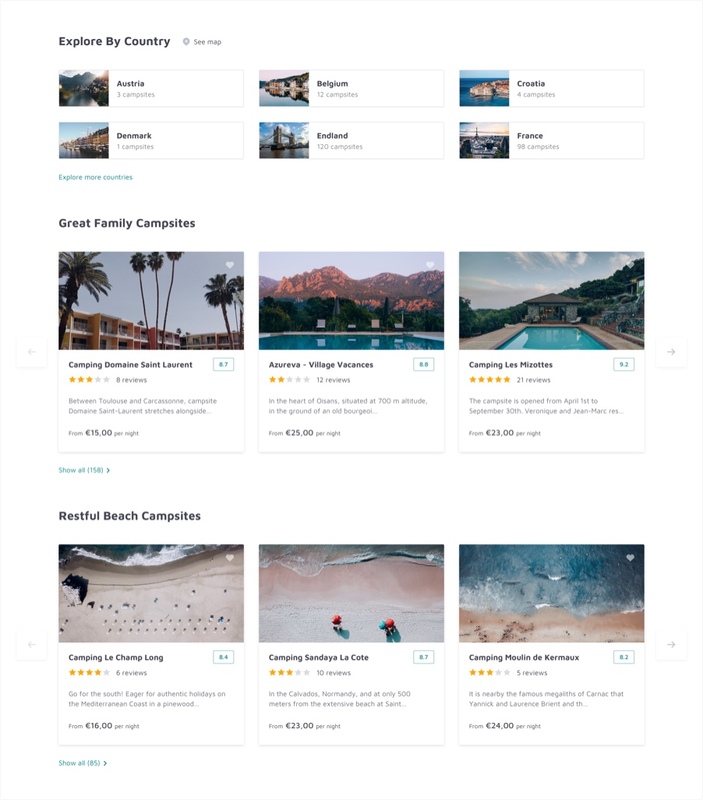 With these changes, Campsited can meet its users’ needs by offering a comprehensive choice of bookable campsites around the world. Have an idea for a marketplace?